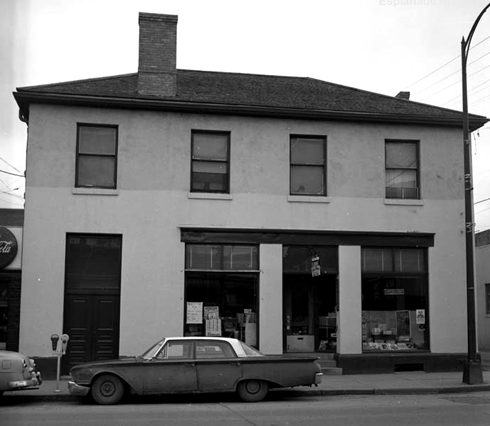 In 1883 James Hargrave and Daniel Sissons operated as general merchants out of a tent before eventually constructing a wooden building on this corner lot in 1884. 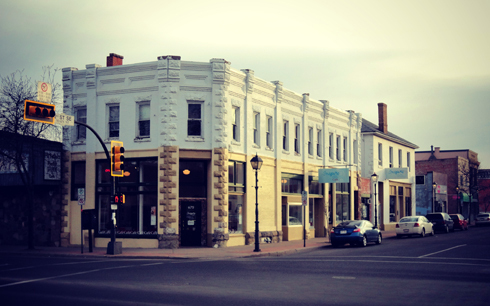 By 1901 the present brick and sandstone structure was erected, and by then both Hargrave and Sissons had become prominent members of the community (Medicine Hat, AB). 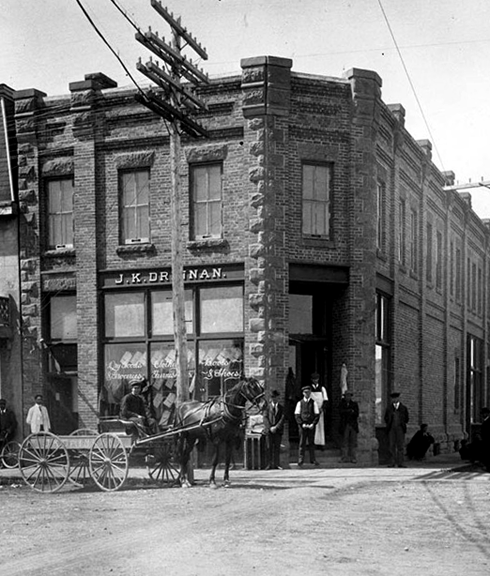 The neighbouring Merchant's Bank was actually constructed earlier in 1898, although only a few years later in 1910 the bank moved to a more substantial building constructed just down the road. 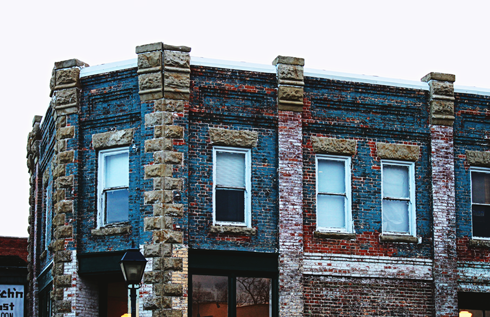 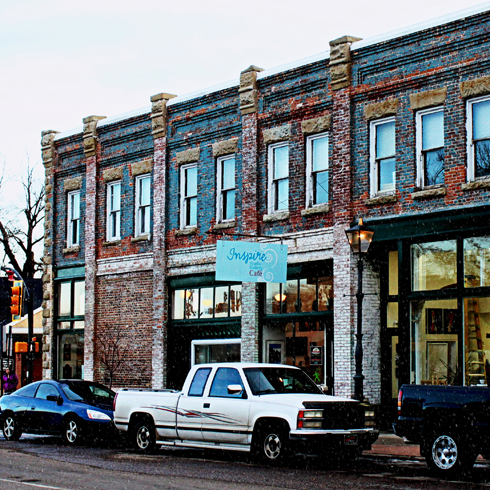 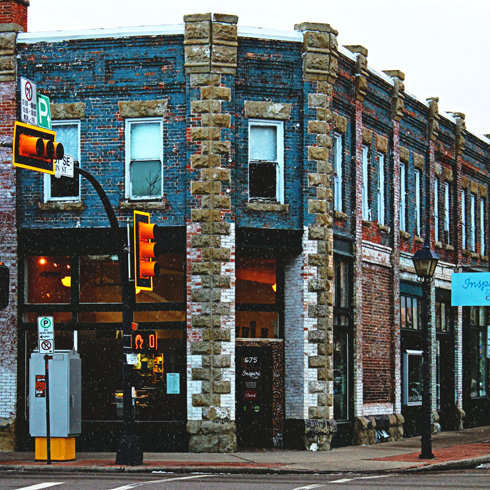 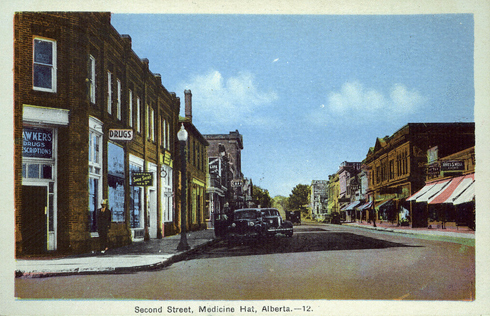 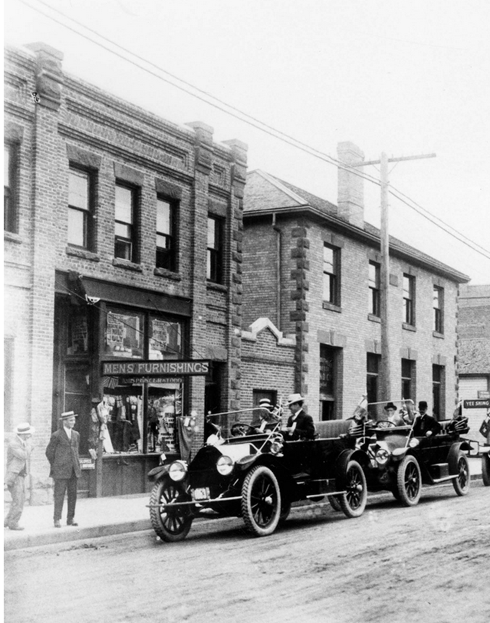 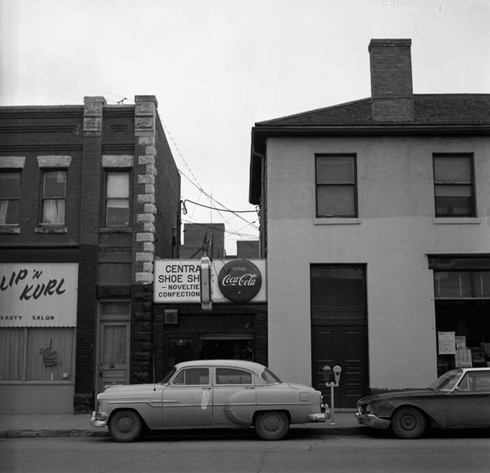 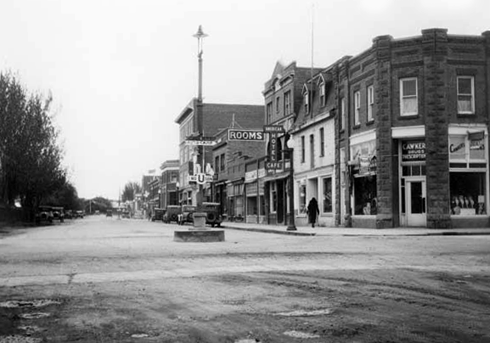 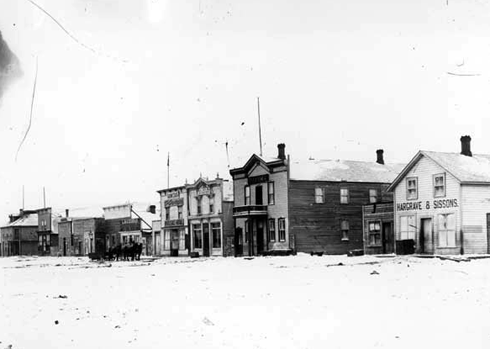 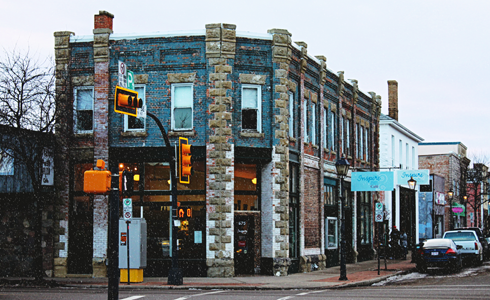 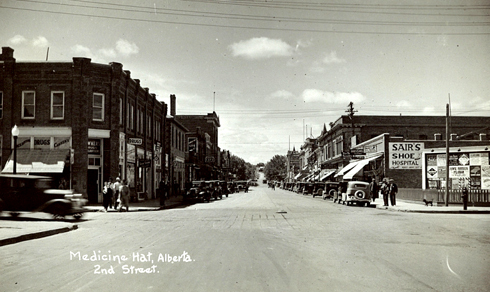 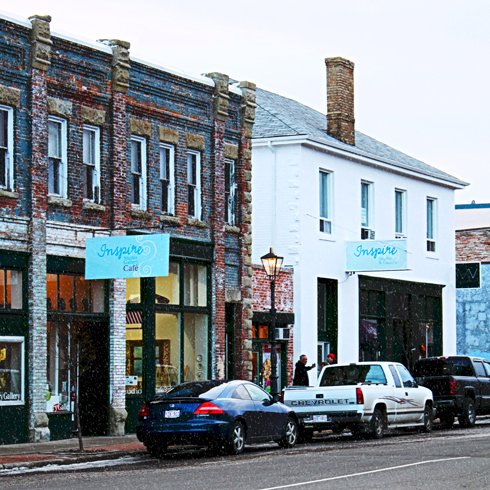 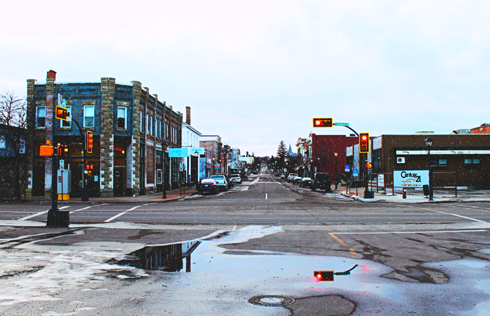 Unfortunately, that building has since been demolished, but the Hargrave Sissons block along with the original Merchant's Bank have stood the test of time for over 110 years as some of Medicine Hat's earliest downtown landmarks. 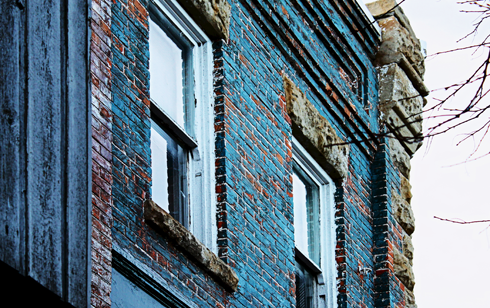 It's been exciting to photograph this location because just this year the Hargrave Sissons block underwent restoration. 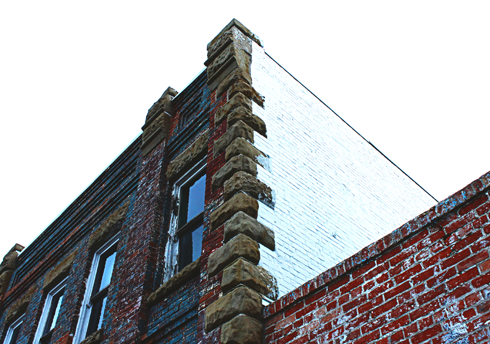 I snapped a few pictures of it covered in white and yellow paint over the spring, but returned in the fall to capture it with the brick freshly exposed. 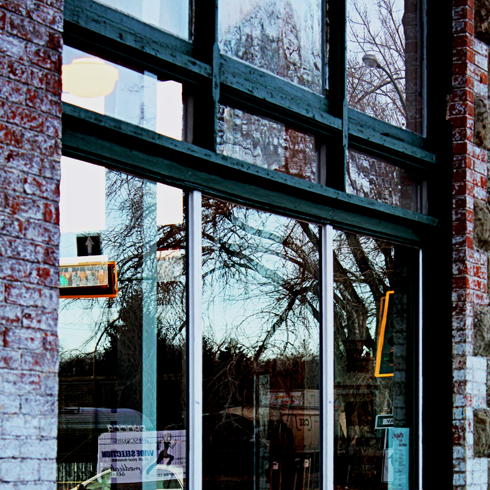 I was told the process was painstaking as it couldn't be sandblasted for fear of damaging the brick and stone. 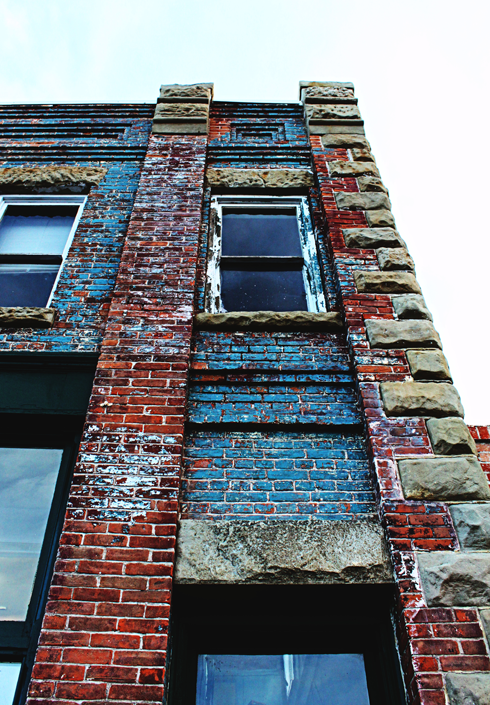 The elements will now be responsible for removing the remaining paint. 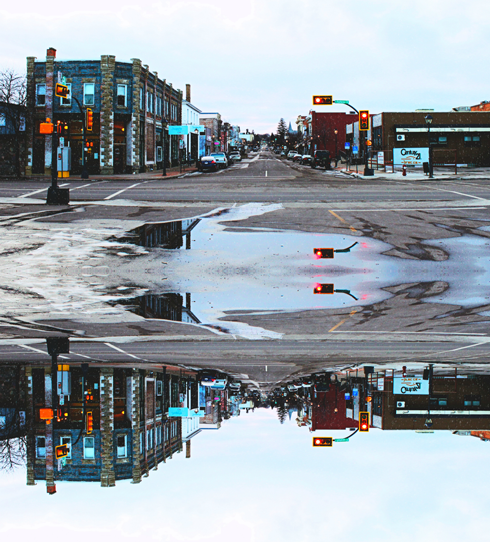 In my opinion, I think it looks amazing. 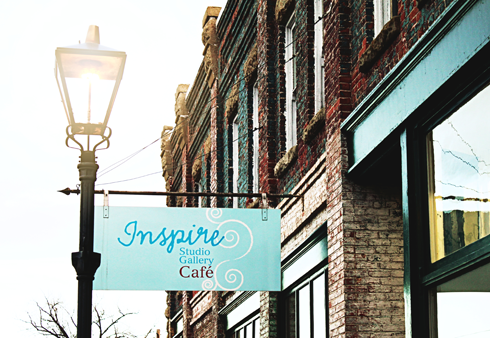 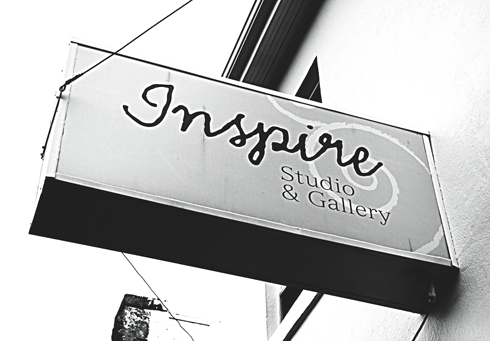 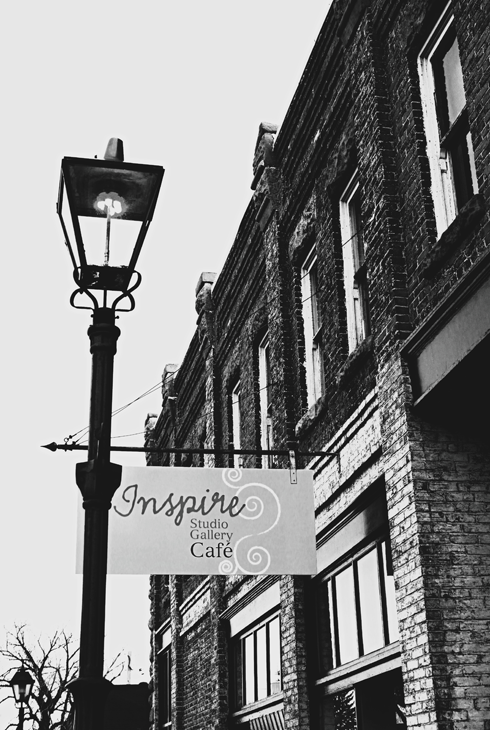 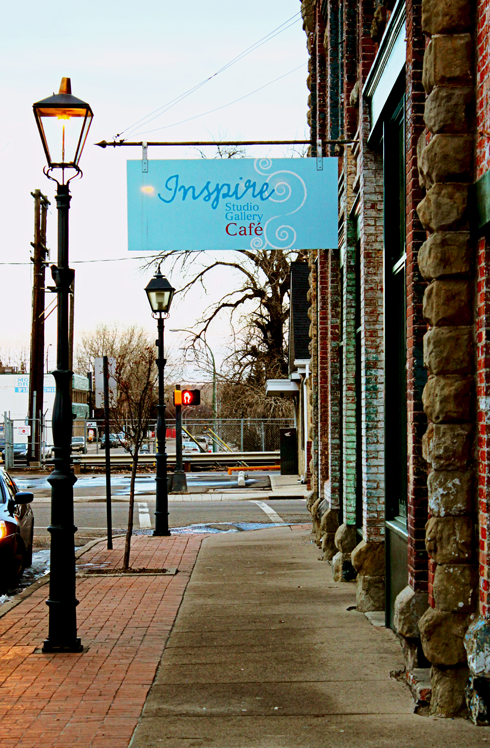 Even better, the location has been revived by the successful Inspire Cafe, Gallery & Studio. 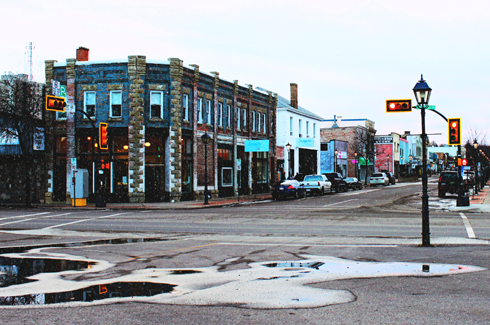 It's a positive step forward for the downtown core. 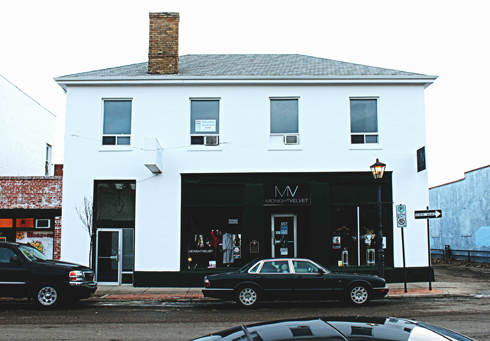 Spring 2012 - Hargrave Sissons block covered in paint. 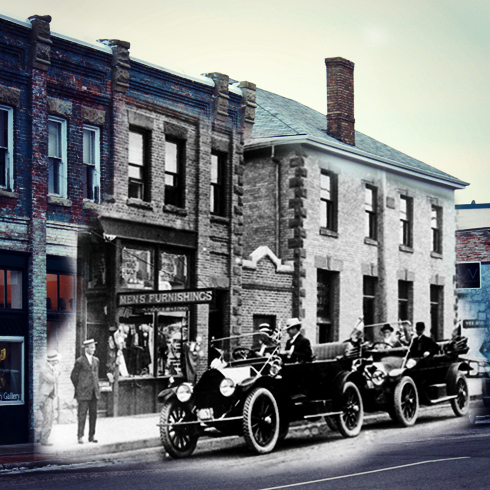 Ghosting image showing my 2012 shot merged with an archival one.